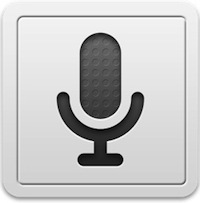 Whether you are too busy or too lazy to type, dictation software turns out to be the most useful invention around. Without even touching your phone, you can type a whole email in a matter of minutes. Moreover, these tools act like your personal secretary whom you can dictate long texts to and they'll loyally oblige. Android's default keyboard comes with a pretty nifty feature that lets you type without using your hands. To use the feature, all you have to do is tap the microphone icon on your keyboard (besides the spacebar) and start speaking to your smartphone or tablet. Now, once you start speaking, Google's voice-recognition engine automatically starts transcribing your voice into text. To use the feature, you need at least Ice Cream Sandwich version of Android to be installed. If you hate typing SMSes, this next application is just for you. 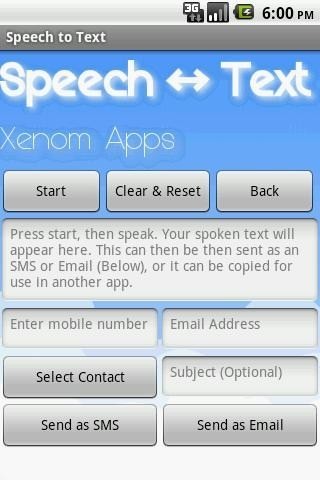 Speech to Text by Xenom Apps is a free application that lets you turn your speech into text and vice versa. Once installed, you can dictate a piece of text to the phone and it will be sent as an SMS or an email directly from the application. One good thing about the application is that it works the other way round too. That is, it also lets you type a chunk of text so that the app can say it out loud. Though the latter is not as useful, the app does come in handy if you want to send an SMS or an email on the go. There are plenty of good note-taking apps; however, ListNote stands out from them by allowing you to dictate your notes to the device. 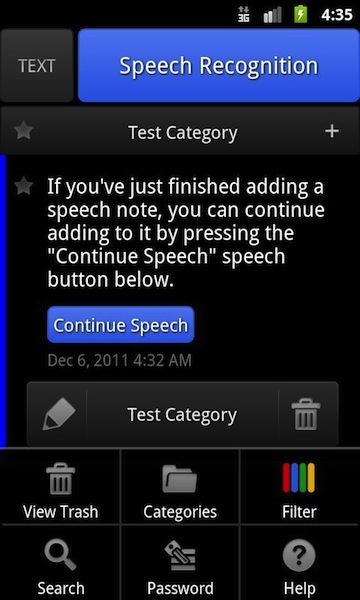 The app, designed specifically with speech-to-text in mind lets you dictate almost perfectly. You can tell the application to put quotation marks and carriage returns. Once you are done dictating your notes, you can then export them to other apps like Evernote or Springpad. Moreover, you can also create to-do lists, shopping lists, and use the app as a memo pad. If you're looking for a dead simple application that lets you create notes with your voice, this app can be your best bet. 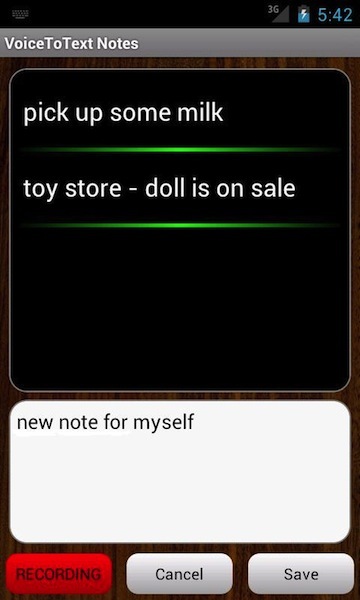 Voice to Text Notes is a free application that not only lets you create quick notes but also allows you to create to-do lists. The app relies on Google Voice Search for the voice recognition so it is much more reliable as compared to any other applications. Finally, once you are done typing, you can send the note as a text message, email, or a reminder. 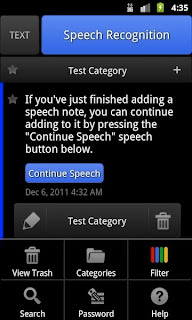 Dragon Dictation is one of the most popular voice-to-text tools. It is used by professionals and is available for Mac and Windows as well. 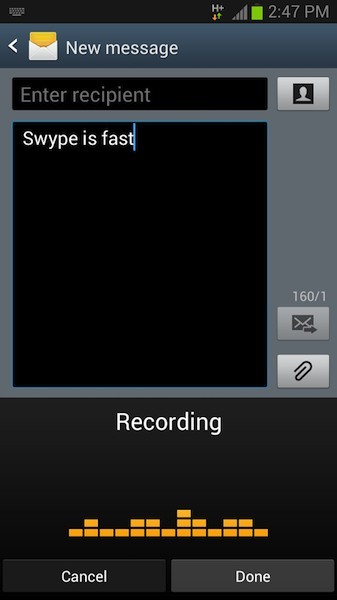 The best way to get the tool on your Android is by installing the Swype keyboard. 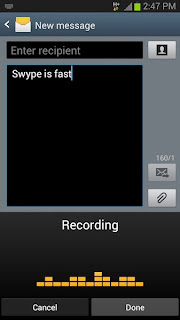 Swype, once installed, not only allows you to type by sliding your finger across the screen it also lets you type with your voice. 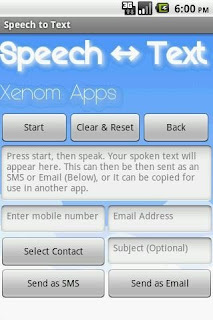 To get started, all you have to do is press the voice key located beside the spacebar and start speaking into the phone.